Start taking classes at Tone House and other studios! Notorious for being the toughest day of the week. If you're a new athlete to Tone House, we do NOT recommend starting with Conditioning Day, unless you're a risk taker and up for an extra challenge! Movement training focused on endurance, stamina, constant heart rate elevation throughout 98% of class, and minimal recovery periods. Speed, strength, explosive, agility, and conditioning-based drills are applied. All Sessions are extremely high intensity so please arrive mentally prepared and motivated to give 110%. All skill levels welcome. 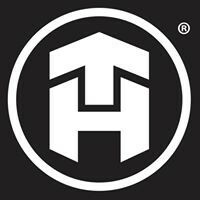 Beginners are required to start with the TH 101 intro class. Please arrive 10-15 minutes early as the warm-up is integral to the class. You will not be allowed in class if you miss the warm-up. Adrian is one of the best coaches at TH! Always encouraging and knows how to push you to your limit! Go take his class!! 6:30am conditioning day is the hardest class they offer in my opinion! Keith is always the greatest. Can never say enough good things about his classes. Keith is the best always! Incredibly challenging, but awesome work out. Great instructor!